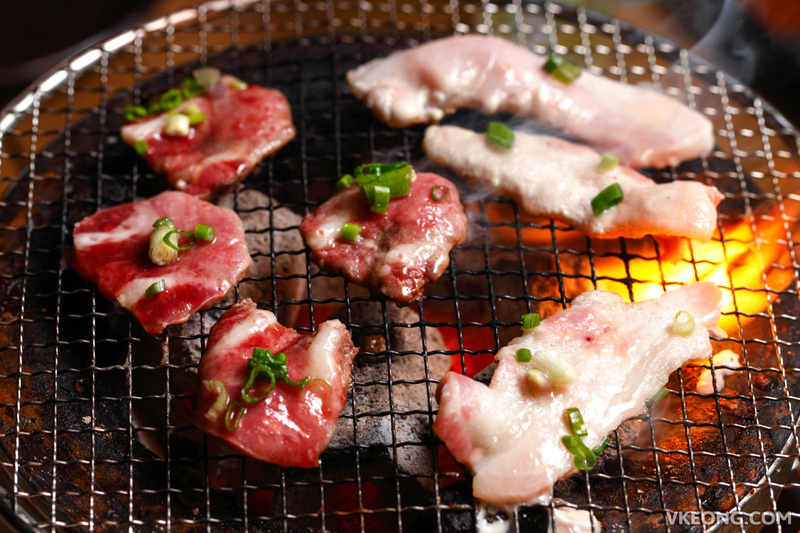 Japanese BBQ, or yakiniku is one of my favorite things to eat. If there’s a new restaurant in town that offers it, you can count on me being there. 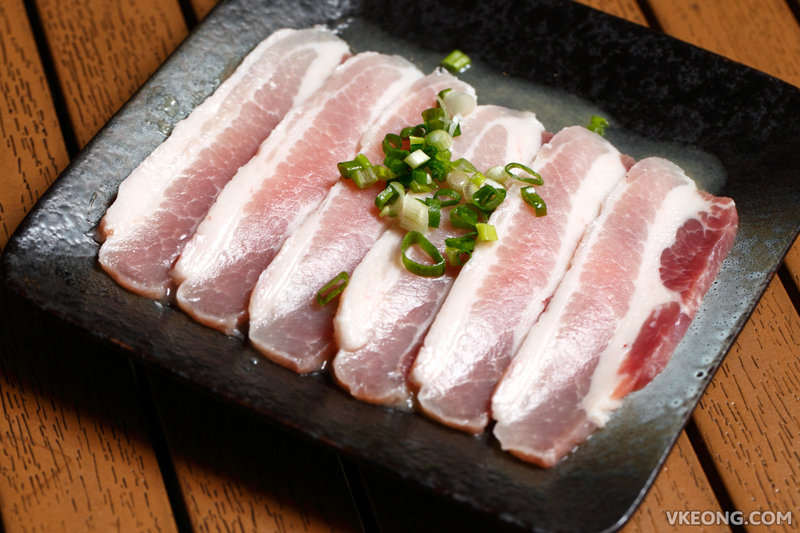 As far as I know, Yazawa BBQ Dining shares the same management as Japanese Fine Dining Kurata. That means quality is almost assured so we did not hesitate to try. 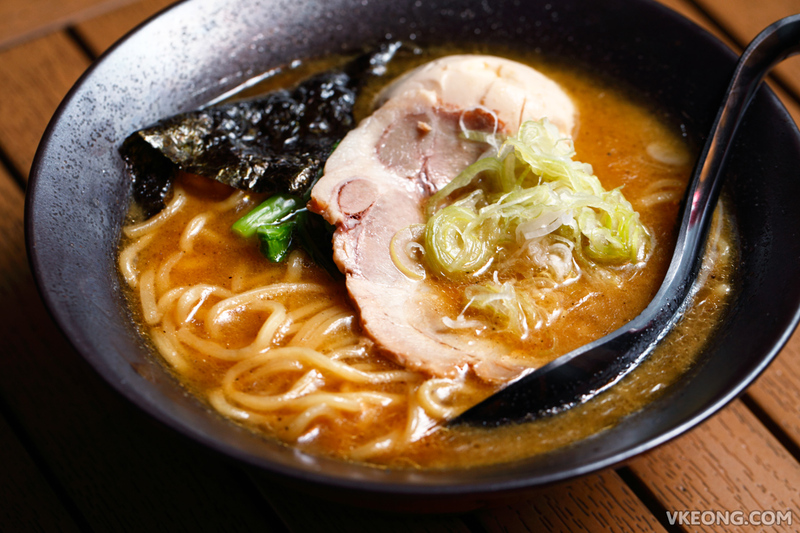 Interestingly, there’s also a ramen shop called Yokohama Ramen & Japanese Curry attached to Yazawa so you can also order ramen to complete your meal. I highly recommend it because a bowl of white rice is ridiculously priced at RM6 a bowl here. But somehow all their other dishes are sensibly priced and not as anger-inducing. 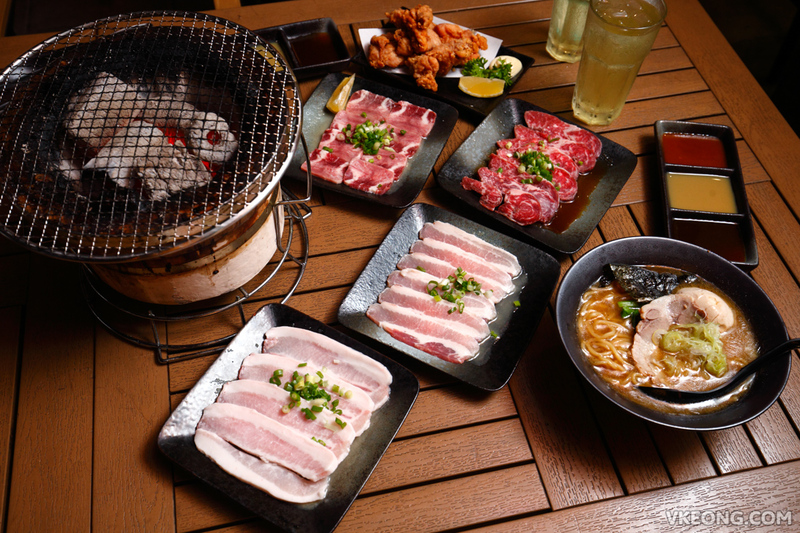 Their simple one page menu offers beef, chicken, pork, seafood and vegetables that can be grilled on the charcoal fire pot. 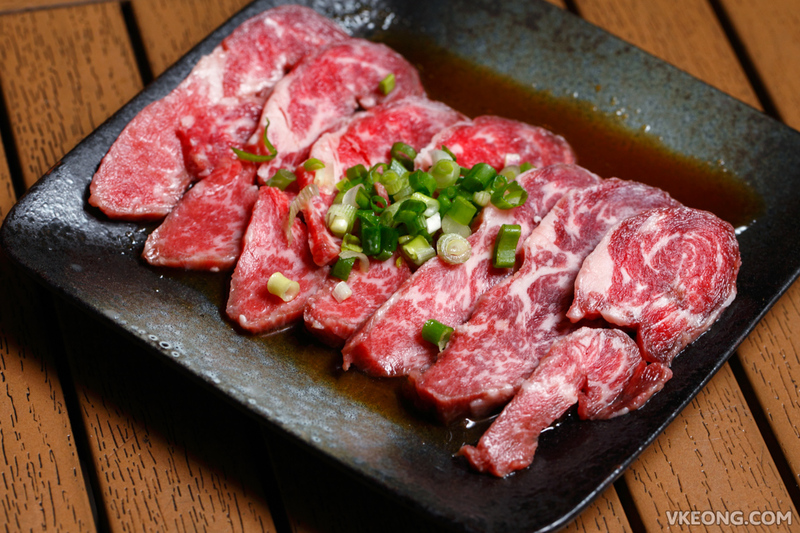 The most expensive items are wagyu beef cuts clocking at RM45 for short rib or loin, while the rest are between RM12 to RM28. Our order for BBQ that night included Australian beef tongue @ RM22..
Australian beef short rib @ RM20. And pork belly @ RM16. Needless to say, my favorite among all was the beef tongue. 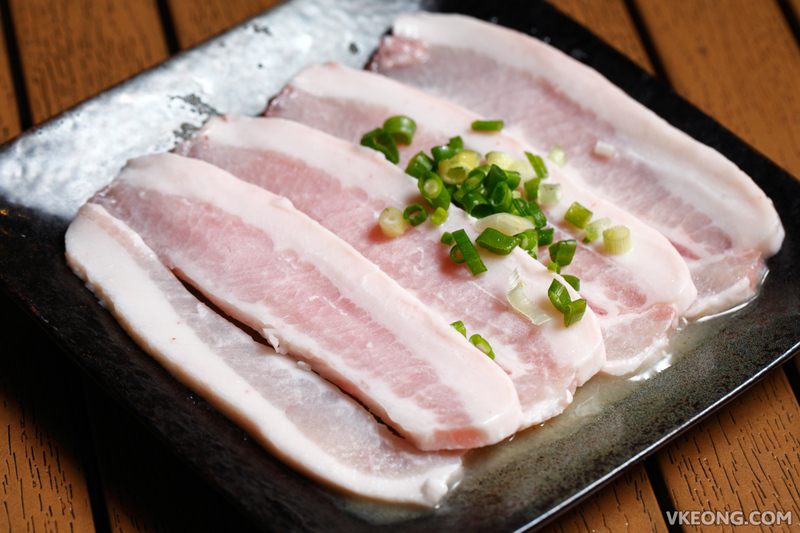 Since the pork is lightly marinated in lemon juice, you can dip them into dipping sauces for extra flavor. Three different types are provided: mustard, shoyu and spicy miso. Usually these sauces are nothing worth shouting about, but I have to say that Yazawa’s are really good. 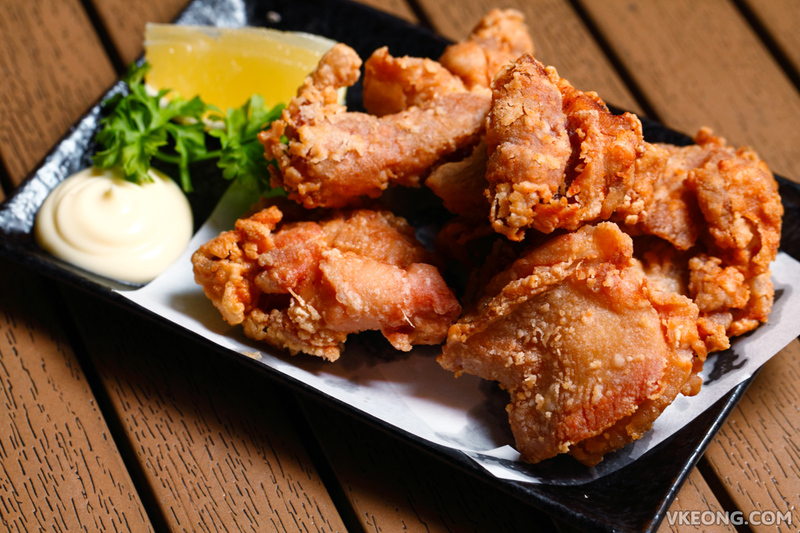 We also had the Japanese fried chicken as a side and it was delicious, crispy and juicy just like it was intended to be. Recommended. I am not too sure what exactly Yokohama Ramen (RM24) is, but I was told by the staff it’s Tonkotsu style. The pork broth was thick and almost creamy with a deep and rich flavor. It’s as good as what the chain ramen restaurants are serving. Portion wise it’s filling enough for one person. 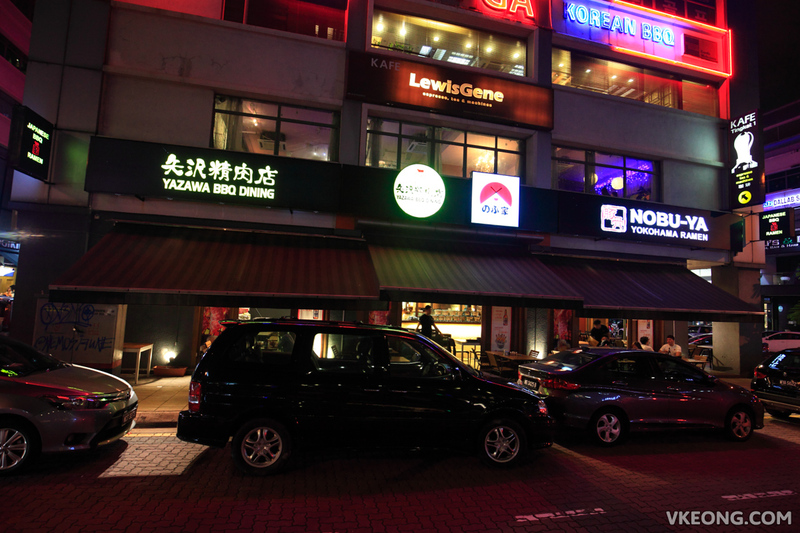 For a place that’s flooded with Korean BBQ, it’s nice to see a nice yakiniku joint such as Yazawa BBQ Dining at Solaris Mont Kiara. In fact, we always noticed groups of Japanese eating here whenever we passed by the restaurant – that’s always a good sign. The post Yazawa BBQ Dining / Yokohama Ramen @ Solaris Mont Kiara appeared first on Malaysia Food & Travel Blog.